Do cards played through Outpost Siege trigger Jeskai Acendancy? Can I cast the exiled card from Outpost Siege even if the enchantment is no longer on the battlefield? Khans — At the beginning of your upkeep, exile the top card of your library. Until end of turn, you may play that card. Dragons — Whenever a creature you control leaves the battlefield, Outpost Siege deals 1 damage to target creature or player. 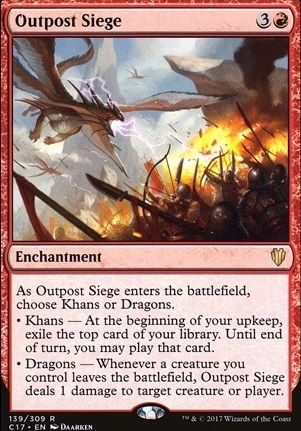 Unless you really make use of the flip side of Vance's Blasting Cannons Flip a better version of that effect can be seen on Outpost Siege which leaves the option of playing a land if that is the exiled card. dbpunk on Secret Tech you have found! One I was really surprised by is Outpost Siege . 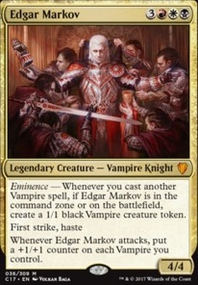 Although all the sieges are pretty decent includes in EDH, this one especially shines when combined with Cloud of Faeries and Deadeye Navigator , or in decks that produce lots of flying tokens. I've never played Feldon, but I see you have your Vandalblast and Blasphemous Act and whatnot, so that's good. I think your best bet to see anything obvious you may have missed is the EDHREC page for Feldon. 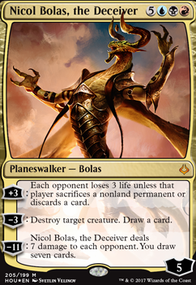 Personally, I don't like Cathartic Reunion , Spitebellows , or Artisan of Kozilek . Again, not knowing much about Feldon, in particular, Tormenting Voice and the like seem worse than recurrent card draw like Outpost Siege , Vance's Blasting Cannons Flip, or Experimental Frenzy . This is the primer I've been looking for. 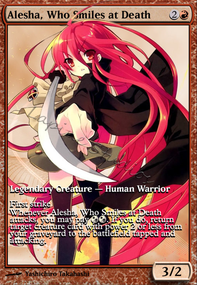 I'm actually in the process of transitioning my Akiri and Bruse deck into something like this. So, I will definitely be using your decklist as a template to modify my deck. I know you mentioned you have less time to curate the list, but there are two strong new cards that might have a place here: Smothering Tithe and Experimental Frenzy one taxes and creates mana and the other is a funky card advantage card for Boros. I think Experimental Frenzy could potentially replace Outpost Siege but I'm not sure what you would cut for Smothering Tithe which is probably the stronger card of my two suggestions. Setting aside impossible foils, this list seems like it lacks card draw and ramp (no Sol Ring ?). Not to mention the fact that you have no protection for Krenko, and the deck feels like it would fold to a couple board wipes. I'd suggest Extraplanar Lens , Sol Ring , Ruby Medallion , Purphoros, God of the Forge , Thousand-Year Elixir , Ruination , Skullclamp , Outpost Siege , and possibly Urza's Incubator . Hope this helps! Guild Summit won't do much in this deck as you only have 1 guildgate in the deck. Outpost Siege , while getting you cards you can cast from exile, isn't technically drawing them so doesn't trigger your commander's ability. Brainstorm is card draw that pretty much becomes Lightning Bolt as well with this commander. 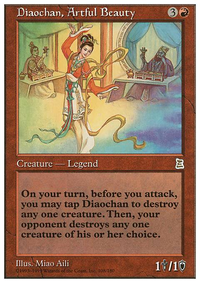 Cards like Direct Current and Bombard are not great removal in the EDH format as too much of what you want to remove is way too big for that minimal damage. If you want to keep a bolt effect, Bombard should become Spit Flame because you could potentially recur it by casting your commander or one of the handful of dragons you have in the 99. Some EDH removal staples include: Chaos Warp , Pongify , Rapid Hybridization and Reality Shift for targeted removal and you will also want a couple of boardwipes such as Blasphemous Act , Hour of Devastation , Earthquake or Chain Reaction . 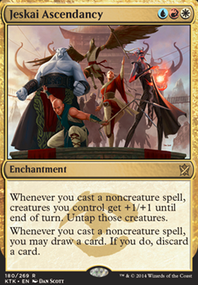 I'd cut some of the creatures like Leapfrog to go with more instants and sorceries to take advantage of your commander's last line of text. Expansion / Explosion is one I'd strongly consider. Some cards that work with all versions of Niv: Basilisk Collar and Gorgon Flail to give his pinging ability deathtouch for boardcontrol and Curiosity is a superior engine for him. And considering his casting cost, I'd look to add a Gilded Lotus to the deck as you could easily get stuck with not having enough of one of your colors.